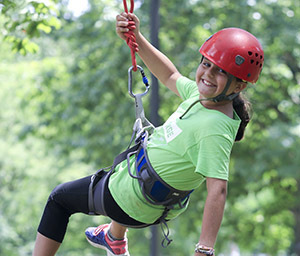 Tackle new heights at Valley Forge Summer Camp! Campers GROW, DISCOVER new abilities such as strength and endurance, and DEVELOP friendships that will last a lifetime. With options ranging from horsemanship to academics, there is something for everyone. Valley Forge Summer Camp is located at the Valley Forge Military Academy & College in Wayne, Pennsylvania. Our beautiful 100-acre campus, located in the famous Main Line section of suburban Philadelphia, houses a variety of playing fields, stables, and swimming pools. 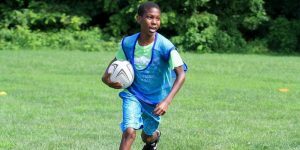 Great facilities, outstanding staff and wonderful campers, Valley Forge Summer Camp is a special place where campers grow, discover new abilities and develop friendships that will last a lifetime. Your child will learn new skills, gain confidence and participate in activities that will assist them in becoming successful in all they do. With a strong focus on Leadership and confidence, and the experienced staff at our disposal, we work hard to develop campers that can work not just independently but as a team also. Your child will head home more confident and displaying leadership qualities to help them into life’s next chapter. From day camp to overnight camp, to specialty camps such as horsemanship and marksmanship, to high level fitness we are excited to welcome kids of all ages to our summer camps. Our camp offers something unique for everyone, including making friends from across the country and even from around the world! Are your kids interested in technology? Do they have an interest in building robots, coding, creating video games, building websites, or making amazing Minecraft worlds? Then you may want to check out Fleming Tech Camps. Contact us using the form below and we will get back to you as soon as possible! If you prefer you can also contact Mrs. Elizabeth Boylan at 610-989-1253.